Donna, a native of Wilson County, joined the Wilson Clinic Optical Center, which is now Medical Eye Associates in 1983 as an optical technician. After completing her apprentice training she became licensed by the North Carolina State Board of Opticians in 1995 and is also certified by the American Board of Opticians. 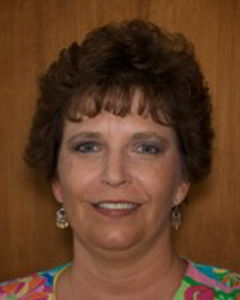 Donna is a member of the North Carolina Opticians Association and the Opticians Association of America. Donna is active in her church, Horne’s UMC and community fund raising events. She and her husband Kelly have one son. The family is very active in local sports. An optician is a technical practitioner who designs, fits and dispenses corrective lenses for the correction of a person’s vision. Opticians determine the specifications of various ophthalmic appliances that will give the necessary correction to a person’s eyesight. Some registered or licensed opticians also design and fit special appliances to correct cosmetic, traumatic or anatomical defects. These devices are called shells or artificial eyes. Other registered or licensed opticians manufacture lenses to their own specifications and design and manufacture spectacle frames and other devices.